Autumn is the second to last season we want to present you in Forza Horizon 4, once again with the most incredible audio commentary you have ever heard. Hopefully it won't prevent you from appreciating the impressive beauty of the British landscapes in the Fall. Enjoy! Note: Like in our previous video coverage, the footage was recorded in 4K/60fps on PC with all graphics settings maxed out and MSAA2x. This time we also activated MFAA in the Nvidia panel. I read the title too quickly and thought it said "The Fall of Gamersyde" lol. Also your streaming compression algorithms look really ugly in this one, even at 4k@60fps. you'll have a hard time picking out the best stuff in this video, it's all just amazing to watch. i recommend watching the whole video. @ 04:04 - "it's like we're back in PGR2"
..that struck a cord, it's been years since i can remember playing PGR. amazing, even if it's by chance the devs managed to pull off the aesthetics. PGR had some of the best blends of arcade and sim racing aesthetics. such qualities really should be brought back i think. Ogh my days it's glorious!!! After Fable get PG making a new PGR! There is no FUC***** reason for playground to NOT make a PGR5! I can understand the fact that Fable is pushed to them, and they may be aching to do other type of games other than awesome open city arcadesim, but DAAAAAAMNNN, a new PGR, Baby!!! I just don't understand why MS don't get PGR5 made. Test the waters with a remaster of PGR2 and if it sells well then do a full sequel. interesting. yeah It's amazing about the visual accuracy, and detail FH4 brings. but also it's not just about the visual accuracy; it's the whole racing experience. PGR was a peculiar game, even though it was 30fps it's sense of speed and handling combined with the visuals and tracks was pretty immersive. and it became a huge success. FH4 offers not just the same familiar places with better graphics, but also exploration and the ability to drive anyway you like. - off-road, circuit, serious or casual. which adds much more freedom and replay value from your usual circuit racing genre. which you're limited in. Naturally cars are meant to go far distances and playground games wanted to go beyond the rails with the FH series. which the series does just that, and it does it quite well to a very fun extent. there is a noticeable difference. 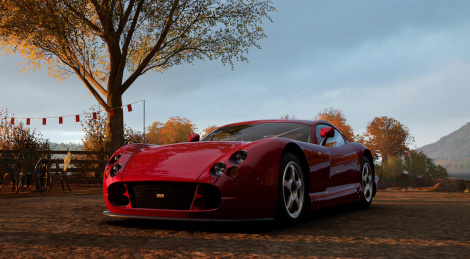 The Forza engine is geared to 60fps, internally. which can be capped to 30fps. more internal frames contributes to smoother motion. lesser frames can contribute to faster end results, but the drawback is lesser motion accuracy. This example below is actually pretty good for showing you internal frames. In the options menu, Forza Horizon 4 allows you to set the "motion blur" to either "short" or "long". to compensate for better motion speed. i have mine set to long. to my eyes it makes everything look faster. Well...got my X pre-loaded with the Ultimate edition and ready for Friday morning. Got my "Influence" up over 200K on mixer and I've been having a blast with the demo. How PG manages to out do themselves everytime is mind boggling. 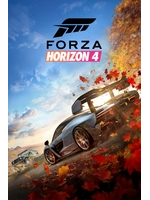 Beating FH3 takes something special no matter who it is...I think its time we include Playground Games in the same conversation of the elite developers.